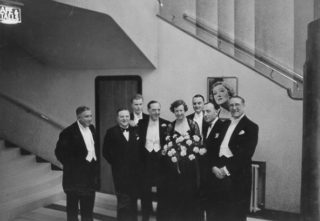 Opening of The Rex Cinema on 9th May 1938. Ralph Lynn standing on Lady Davidson's right. The Rex opened 9th May 1938. The Shipman & King circuit planned to build a second cinema at the eastern end of town on the corner of Swing Gate Lane on land belonging to Edward Greene of the Hall. It then acquired Egerton House, a fine Elizabethan building, which was a better site nearer the town centre and with room for a car park behind. The cinema was opened by Viscountess Davidson and showed Shirley Temple playing in Heidi on the first night. The architect was David Nye. 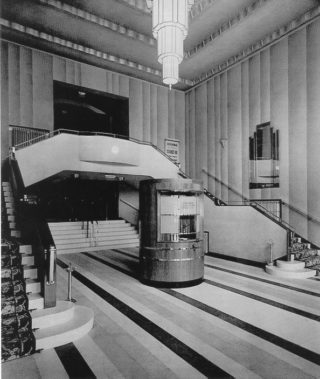 The cinema had a most impressive and spacious double-height foyer. Access to the stalls was provided by steps behind the pay-box while the balcony was reached by stairs to both sides. The auditorium extended from Three Close Lane behind the parade of shops. The rear stalls area was reduced to make room for the café. The projection box was built up outside the auditorium on rakers, which extended through the back wall and was entered from an outside iron staircase. The seating capacity was 1,100. The Rex was successful for about thirty years but was too large by the 1970s. 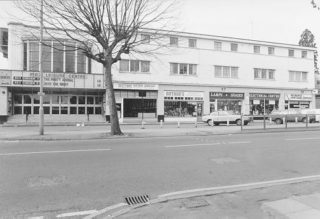 In 1973 films were shown on the first four days of the week in what was known as Studio 1, while bingo was played from Thursday to Saturday. 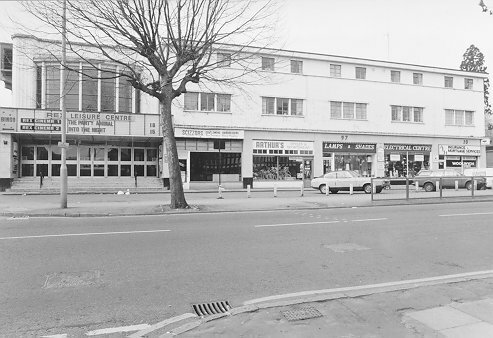 In 1976 the circle was divided into Rex 1 and Rex 2 cinema while the stalls went over to full-time bingo. On the expiry of the lease in February 1988 the entire building closed. The site had been sold to a developer who planned to build offices and flats. The threat of demolition stirred the Cinema Theatre Association into action. The building was spot-listed Grade II by English Heritage two days before it closed. A local campaign was initiated to save the Rex as an arts centre and cinema. In 1990 as the result of a public enquiry the Secretary of State for the Environment quashed the scheme to replace the building with offices. 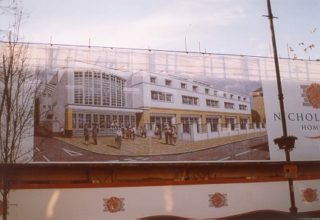 Planning permission was granted in 1993 for the building to become offices with the twin cinemas in the balcony serving as lecture theatres and only the foyer and restaurant being restored. Listing building consent however was refused. 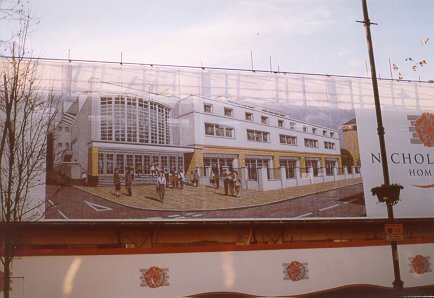 In 1997 the Friends of the Rex was formed to try and save the cinema, An attempt by The Estates and General Property Company to have the building de-listed failed. The Friends of the Rex put in a bid to the National Lottery Fund for money to purchase the Rex. This failed and the Rex Film and Arts Centre was formed, aiming to raise funds from elsewhere. Nicholas King Homes proposed building flats around a 600-seat cinema in the existing auditorium, the restoration financed from proceeds from the sale of the flats. IT was to be operated by the Trust. The Trust proposed a multi-purpose arts venue with a three-screen cinema, gaining support from notables such as Joan Bakewell, High Grant, Hayley Mills and Ian Richardson, but the Council feared three cinemas would exacerbate parking problems. In December 2000 it was reported both schemes had planning permission, but the Nicholas King Home one went ahead and the auditorium area was leased to James Hannaway. The Rex has re-opened and Berkhamsted has regained its cinema! Sadly the auditorium is no longer reached through its imposing entrance and spectacular foyer but by means of a side entrance. One needs to visit Gatsby’s to something of the glory of the original entrance. This page was added on 23/06/2011. One of the strange things about the planning permission being granted was no parking was requied! The excuse given was there a bus stop outside and parking available in the town centre (about 1.2 mile distant). Of course, the project would not be viable if parking had to be provided but Dacorum knew best. Now try getting up Three Close Lane on afternoons and evenings when films are being shown!